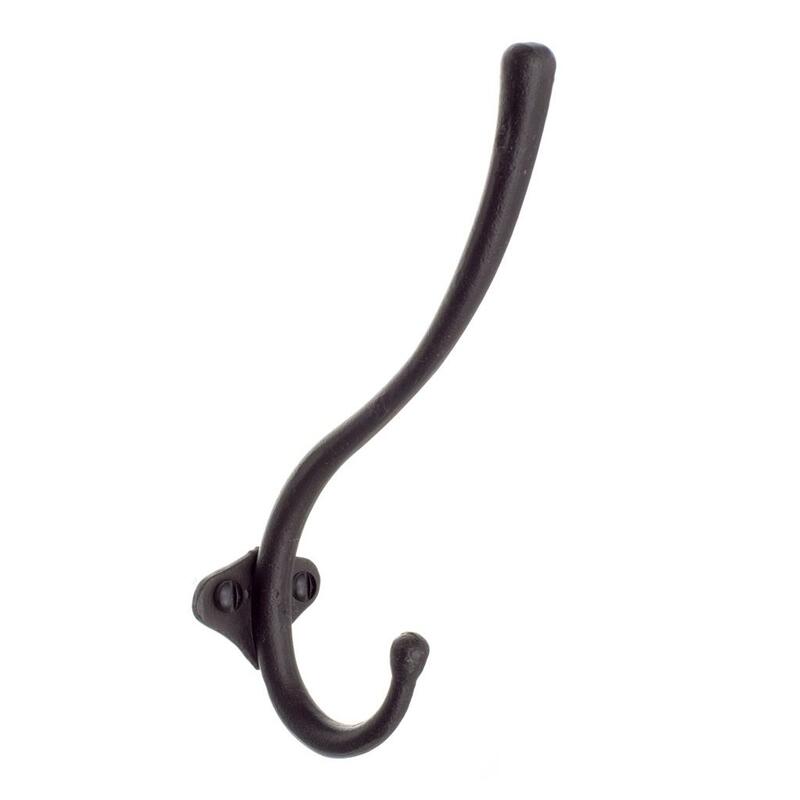 The longest double hook in our range, the Chandler Coat Hook is a simple, elegant item that will provide ample storage as well as a touch of class for your kitchen, bedroom or hallway. 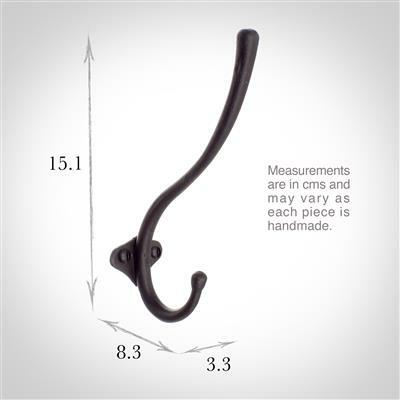 It will look wonderful hanging on the back of a door or in a kitchen to store your pots, pans and utensils. Use two or three of them in a hallway to hold your heavy coats, winter woollies, hats, and scarves or in a bedroom to take dressing gowns and laundry bags. 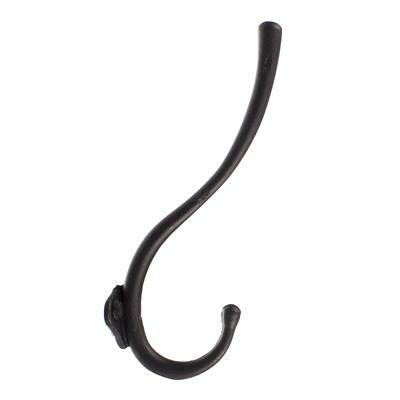 Lovingly hand crafted from solid steel, this hook has been finished in beeswax, a traditional technique used since Tudor times. The metal is heated until it darkens and then dipped in natural beeswax which gives is a lovely, soft black wrought iron effect, which looks fabulous in any traditional or contemporary interior. 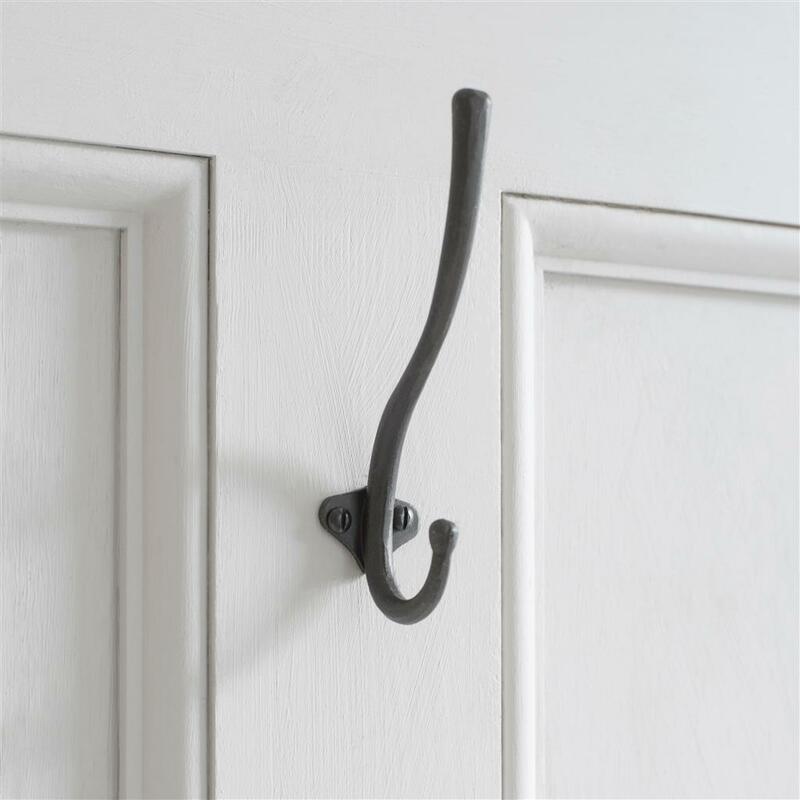 The Chandler is 15.1cm high, 3.3cm wide and 8.3cm deep and is supplied with fixing screws in the same finish. It is also available in matt black, antique brass, plain ivory and polished. For more storage solutions see our shelves and shelf brackets and our hat and umbrella stands. We have three of these in our hallway, very nice touch. They are much better than the one you see elsewhere and will last much longer.